All your teams and team leaders are going to love using Faith Teams, because we give you easy-to-use tools with intuitive screens to plan out your services and schedule all your volunteer teams. We know what it’s like in the weeds every week, so we’ve put a lot of time and energy into developing the tools you need to make it as smooth and easy as possible. The Service Planning tool makes it easy to map out your entire service plan, from the pre-roll countdown all the way to the last song. Simply input all the songs, transitions, speaking slots, etc. and you’ll have an easy-to-read plan ready to print or send out to your entire team. The Song Library allows you to build-up a bank of music resources that you team can access from the service plan. Easily link to external resources like YouTube and iTunes directly from within the software, or upload your own content such as chord charts and lyrics. 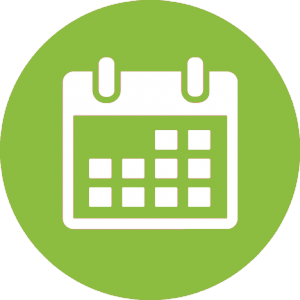 The Volunteer Scheduling tool makes it easy to manage all your teams, schedule volunteers, and communicate with team members. Faith Teams is powerful and easy church volunteer management software.It’s a volunteer planning center built right into your church management software. All these things combine to give you the tools you need to equip your leaders to plan, schedule and lead their teams more effectively than ever, and helping your church services to be better than ever. Best of all, it’s all in one single system.